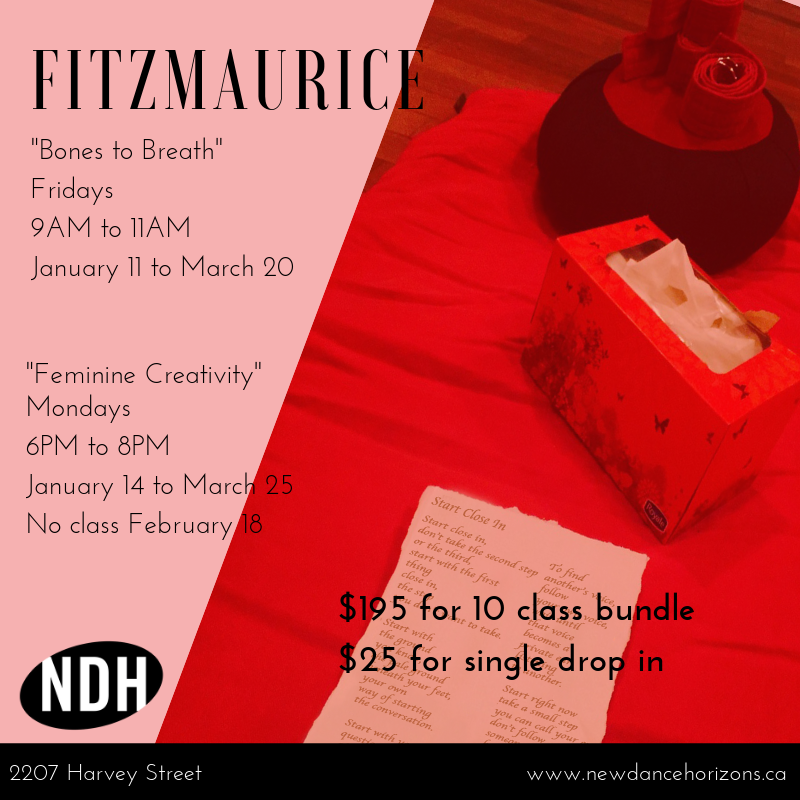 Fitzmaurice Voice Work: "From Bones to Breath"
Discover simple ways to understand embodied experience, self regulation, freedom of movement, and flow through Fitzmaurice Voicework™, Mitzvah/Itcush Method, and Hatha Yoga. Fitzmaurice Voice Work: "Feminine Creativity"
Traci Kluk is an inclusion-focused multidisciplinary artist, educator, coach, and director, who was Canada’s first certified Fitzmaurice Voicework™ instructor (2006). Traci is one of Canada’s lead practitioners of the work and explores and develops her work through somatic arts with a focus on where awareness, intuition, and action intersect. Traci is the humbled recipient of the 2015 YWCA’s Woman of Distinction Jacqui Shumiatcher Arts Award. Her exploration of somatic art began before the term was trendy. Traci’s deep and thorough explorations have included and are not limited to Mitzvah Technique and Itcush Method, Extended Vocal Technique, Pochinko Clown, Somatic Experiencing™ and Yoga. Traci’s lived experience informs her understanding of ‘somatics’ to describe embodied-focused awareness through dynamic efforts. ** Classes purchased are non transferable and must be used by the final week of class.